#KIDSONHOOQ Gets More Family Friendly Contents And Cartoons! Home / hooq / news / services / #KIDSONHOOQ Gets More Family Friendly Contents And Cartoons! HOOQ, Asia's pioneering video on demand service just made #KIDSONHOOQ a lot better. The company just added and showcased their massive collection of cartoons and family-friendly titles last HOOQ Hangouts. 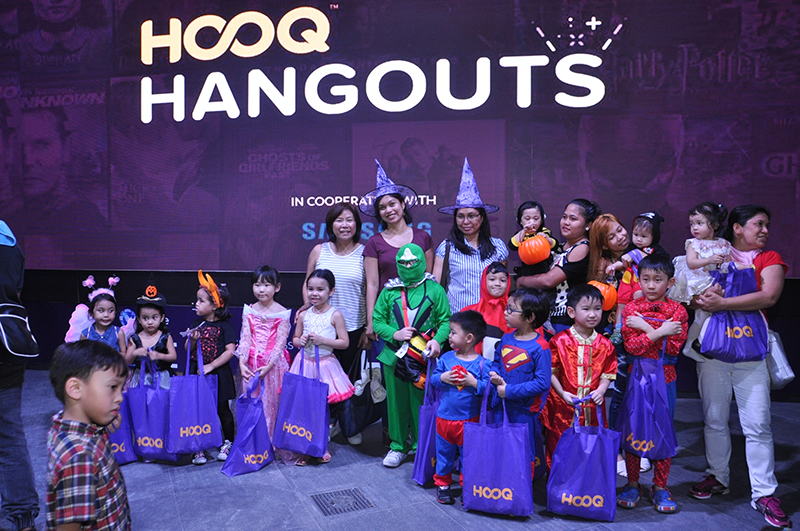 HOOQ for kids last Halloween! 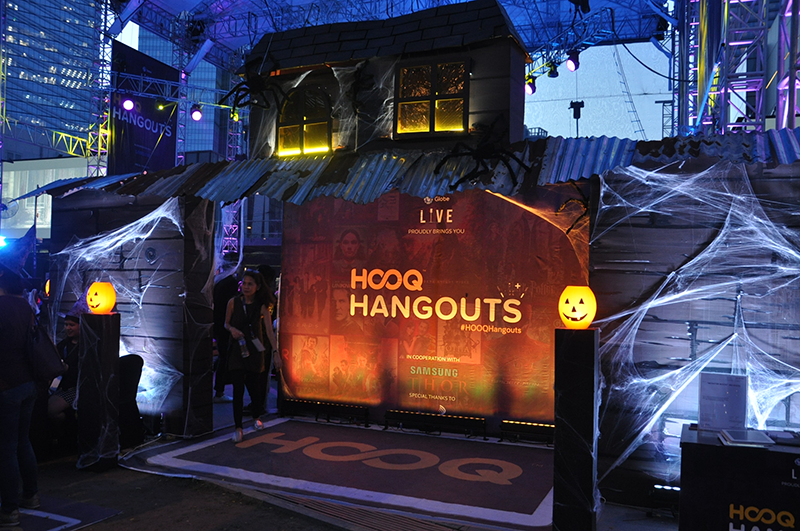 In an event held at Globe Iconic Store's HUGE outdoor cinema in cooperation with Samsung, HOOQ also gathered kids in Halloween costumes for a treat to watch Monster House, an award winning horror-comedy animated movie. Kids in costumes and treats! Going back, HOOQ is set to triple their library of child-friendly contents this last quarter of 2016. HOOQ for kids just inked new partnerships with Nickelodeon, Nick. Jr., Kids Like Us, Hasbro, Turner, and MoMedia to bring the most popular kid shows in HOOQ's catalog. That being said, kids can also watch series such as SpongeBob SquarePants, Dora the Explorer, Go Diego Go!, PAW Patrol, Littlest Pet Shop, My Little Pony, Mr. Bean, HI-5, iCarly, and more on their parents’ mobile devices or tablets. To get HOOQ all you need to do is download at Google Playstore or Apple App Store. Globe customers can get up to 90 days FREE HOOQ on selected GoSURF plans, broadband users will also get it for FREE, and there will be a 7-day free trial on www.HOOQ.tv upon signing up.